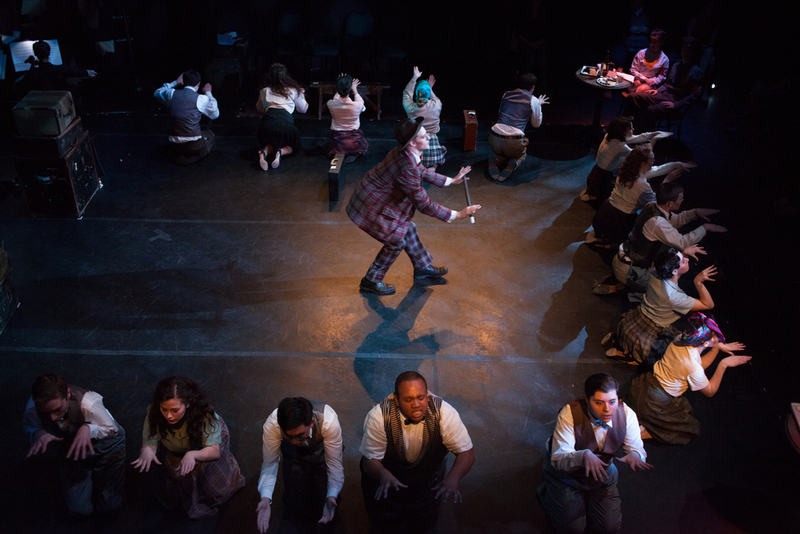 My senior thesis in directing at Yale College reimagined John Kander, Fred Ebb and Joe Masteroff’s Cabaret as a performance by the inmates of the Theresienstadt Concentration Camp before an audience of international visitors from the Red Cross. 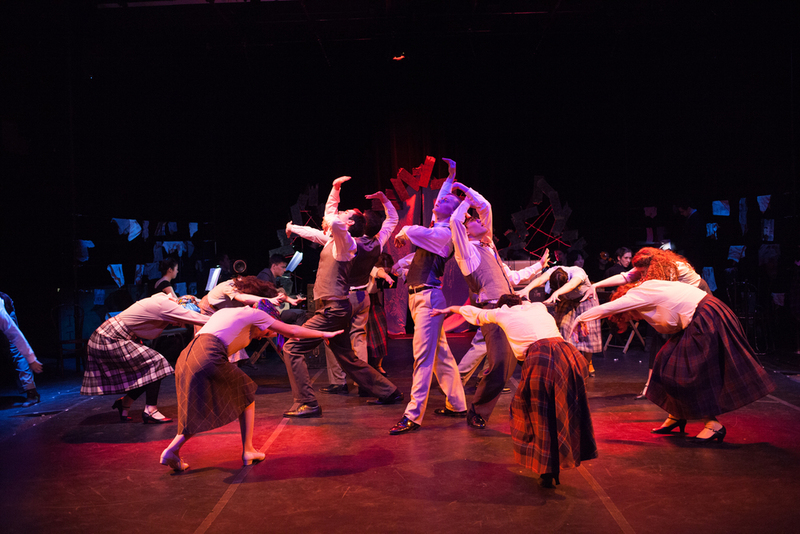 Whereas most productions of Cabaret are set within a seedy nightclub, my interpretation of Cabaret was based on cabaret performances that occurred in WWII's concentration camps and an actual visit by the International Red Cross to the Theresienstadt Camp in 1944. 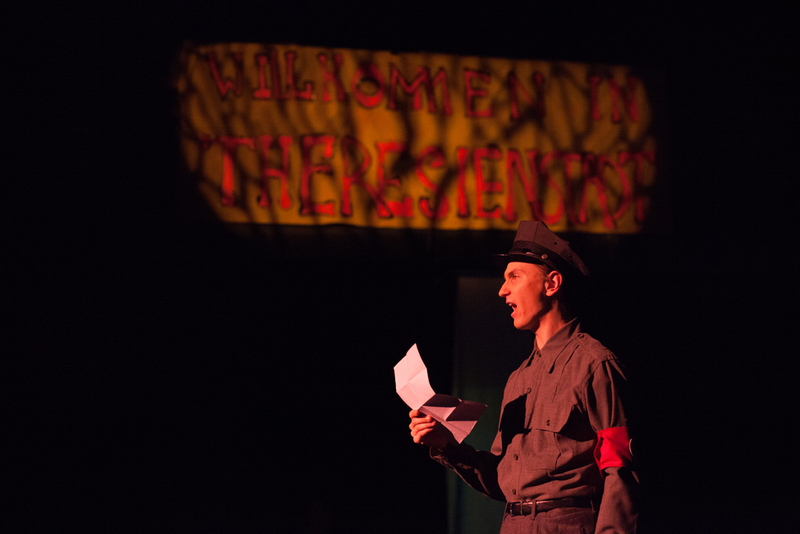 By staging Cabaret as a performance within Theresienstadt, my production aimed to share the relatively untold story of coerced and subversive theatrical performances that emerged from the Shoah, or Holocaust, as a strategy for survival, rebellion, and the retention of humanity. Located in Czechoslovakia, Theresienstadt was the Nazi’s “Model Ghetto,” advertised to the world as “Hitler’s City for the Jews.” In 1944, rumors of Nazi atrocities began to circulate throughout Europe. In response to these rumors, the International Red Cross requested a visit to the Nazis’ camps. To prepare for the Red Cross’s arrival, the Nazis transformed Theresienstadt into an ideal “Potemkin village” to showcase to the world. The ghetto was “beautified,” with the creation of sports fields, coffee houses, spas, and “children’s homes,” all of which were constructed to obscure the camp’s stench, overcrowding and disease. Beyond its status as the Nazis' model camp, Theresienstadt was also the temporary destination for many of Western Europe’s celebrated Jewish artists and intellectuals. Between 1941 and 1945 the Nazis condoned, and in some cases commanded, performances by the inmates. On average, there were fifteen different performances a day, with tickets often sold to the general public. It was only during these cultural events that the prisoners were allowed to remove their yellow stars or identity badges. Between 1941 and 1944, the camp’s prisoners organized thousands of performances, concerts and lectures in their struggle to hold onto their individual identities in the face of degradation and the constant threat of deportation to the 'East'. My production was inspired by a groundbreaking article published by Holocaust survivor Curt Daniel in November 1941 entitled, “The Freest Theatre in the Reich: In the German Concentration Camps,” which detailed the culture of coerced and subversive cabaret performance within many of the Nazi concentration camps. Although it is unclear if Kander, Ebb, or Masteroff read “The Freest Theatre in the Reich," there are resonances between theatrical performances during the Holocaust and elements of the book, music, and lyrics of Cabaret. "Leave your troubles outside! So--Life is disappointing? In here Life is Beautiful. The girls are beautiful. Even the orchestra is beautiful... Outside it is winter but here it is so hot--every night we have to battle the girls from taking off all their clothing. So don't go away. Who knows? Tonight we may lose the battle!" In addition to interpreting Cabaret through a new lens, my production drew from Peter Brook’s 1967 staging of Peter Weiss’ 'The Persecution and Assassination of Jean-Paul Marat as Performed by the Inmates of the Asylum of Charenton Under the Direction of the Marquis de Sade.' Like Marat/Sade, my Cabaret explored the relationship between the spectator and performer, as well as the nature of creative rebellion and political theatre in a state of oppression and captivity. My dramaturgical research for this production focused on theater as a strategy of survival and theater as a transformative, transcendent and therapeutic experience. Throughout the production process, my entire creative team grappled with how to represent the irrepresentable and to how to theatricalize traumatic experiences. In doing so, my production aimed to bear witness to the emptiness and silences left by those who perished in the Shoah. 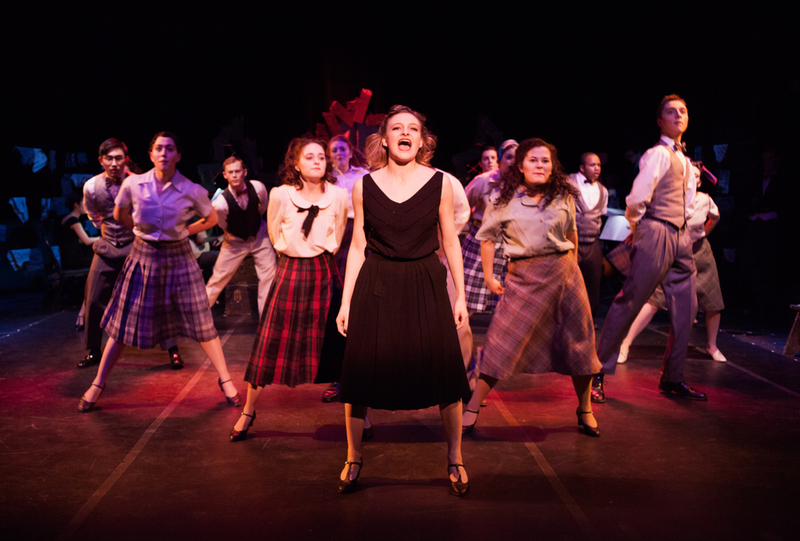 Cabaret received widespread support across Yale University and was co-produced by the Theater Studies Program at Yale University and a Berkeley College Creative and Performing Arts Award, with financial support from the Calhoun College Mellon Forum Fund, Calhoun College Class of 1959 Fund, The Department of Slavic Languages and Literatures at Yale University, The Yale Program for the Study of Antisemitism, The Joseph Slifka Center for Jewish Life at Yale, a discretionary arts award from Ezra Stiles College, The Hebrew Program at Yale University, The Judaic Studies Program at Yale University, and additional support from David & Charlotte Koskoff. 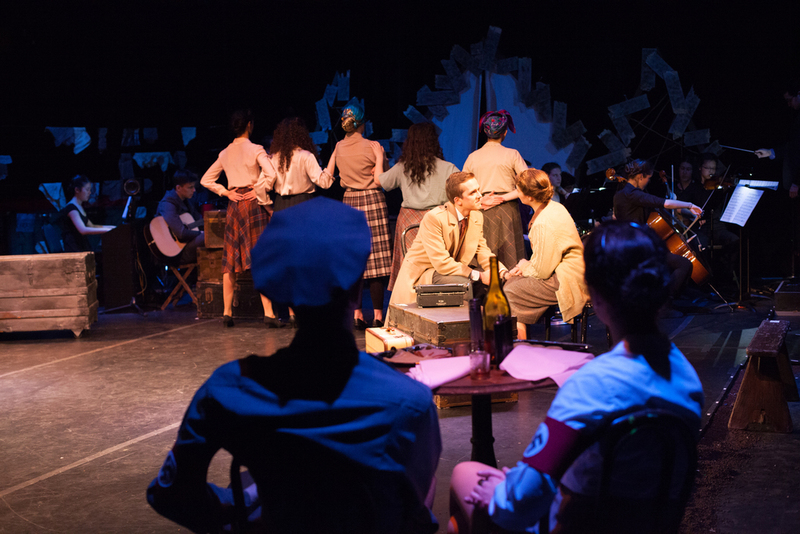 With a budget of approximately $5,000, a cast of 27, an orchestra of 16 musicians, and a production staff of nearly 25 collaborators, Cabaret featured the largest undergraduate ensemble and company of the 2014-2015 academic year at Yale University. As the Nazis begin their ascent to power in the early 1930s, American writer Cliff Bradshaw visits Germany to begin his next book. 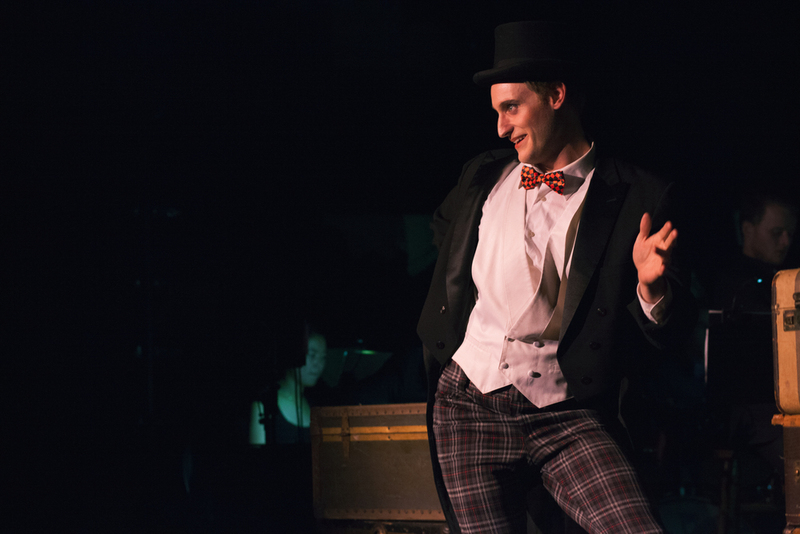 Searching for inspiration in Berlin, he meets Sally Bowles at a cabaret called the Kit Kat Klub. Soon, Sally and Cliff move into a boarding house run by Fräulein Schneider and her suitor, Herr Schultz, a Jewish grocer. As Germany transforms at the hands of the Nazis, however, Cliff, Sally, Schneider and Schultz's world and beliefs are disrupted forever. 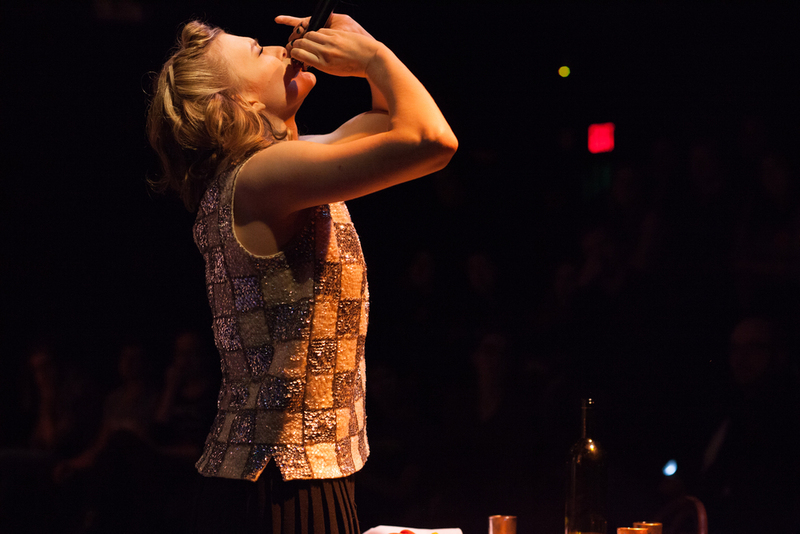 — Yale Daily News on "Cabaret"
— Broad Recognition on "Cabaret"